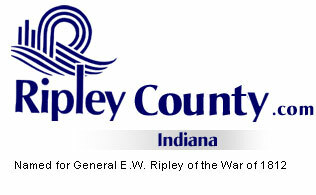 The Ripley County Council met on Tuesday, February 15th, 2005 at the Ripley County Annex in Versailles, Indiana. Donald Dunbar, Ripley County Council President called the meeting to order promptly at 7:00 PM with Council Members Dephane Smith, David Simon, William Dramann, Mark Busching, Ben Peetz and Donald Dunbar.. Edward Armbrecht did not vote due to being absent the January meeting. Council Member Dramann made the motion to approve the minutes of the January 18th meeting seconded by Council Member Smith. Motion approved unanimously. Council Member Armbrecht made the motion to approve the additional appropriation of $432 from Probation User’s Fees to Fund # 246-12401-000-040 & $1104 from County General to Fund #100-12400-000-021 & $1667.00 from Juvenile Probation Fee for the matching funds grant seconded by Council Member Peetz. Motion approved unanimously. Council Member Smith made the motion to approve the transfers $1667 from Fund # 247-38500-000-041 Juvenile Probation Fees to Fund #517-38500-000-517 RC Internet Exchange Fund seconded by Council Member Smith. Motion approved unanimously. Council Member Smith made the motion to take off the table the Ordinance Establishing the Juvenile Information Website Fund seconded by Council Member Simon. Motion approved unanimously. Council Member Smith made the motion to approve the Ordinance Establishing the Juvenile Information Exchange Website Fund seconded by Council Member Simon. Motion approved unanimously. Council Member Busching made the motion that the Sheriff seek transfers for the additional appropriation requested $1503, $1537 & $1537 from the sheriff budget and to amend the salary ordinance for Jail Commander, Deputy Matron & 6th Deputy seconded by Council Member Dramann. Motion approved unanimously. Busching stipulated that if funds are needed at the end of year the sheriff should do an additional request to the council. Council Member Busching made the motion to approve the additional appropriation for Pat Thomas/Health Department of $17,970 from Fund # 245 Health Maintenance/Health to Fund # 245-11250-000-037/ $951 from Health Maintenance/Health Educator Social Security to Fund # 245-12600-000-037/ $3,332.04 from 245 Health maintenance /Vital Records Office Supplies to Fund # 245-25300-000-037/ $1,000 from Health Maintenance/Environmental Health Office Supplies to Fund # 245-25302-000-037/ $7,000 from 245 Health Maintenance/Public Health Nurse Operating Supplies to fund # 245-29560-000-037/ $1200 from Health Maintenance/Environmental Health Public Information to Fund # 245-29571-000-037/ $1,2000 from 245 Health Maintenance/Public Health Nurse Public Information to Fund # 245-29572-000-037 & $600 from Health Maintenance/Environmental Health Travel to Fund # 245-34800-000-037 seconded by Council Member Smith. Motion approved unanimously. Council Member Smith made the motion to do transfers for Pat Thomas/Health Department for $5,473.74 from Master Settlement/Public Information Material Fund # 331-29571-000-331 to Master Settlement/Contractual Services Fund # 331-37800-000-331 & $7,000 from Master Settlement/Operation Supplies Fund # 331-29560-000-331 to Master Settlement/Contractual Service’s funds # 331-37800-000-331seconded by Council Member Armbrecht. Motion approved unanimously. Council Member Smith made the motion to approve the additional appropriation for the Highway Department of $25,000 from fund # 203-29470-000-033 for bridge # 38/ $12,000 from fund # 203-29425-000-033 for bridge # 100 & $20,000 from fund # 201-37800-000-026 for Contract Labor seconded by Council Member Simon. Motion approved unanimously. Council Member Busching made the motion to approve the additional appropriation of $167,247 for the Riverboat Wagering Tax Revenue Sharing Distribution seconded by Council Member Simon. Motion approved unanimously. Council Member Armbrecht made the motion to table the request for transfer of funds for $1482.06/ Andy Clark/Veteran Director (Van) seconded by Council Member Simon. Motion approved unanimously. Neil Comer, County Attorney updated the council members on the Beltarra/Riverboat funds check that was received that was short and attorney Comer advised to not cash this check. Council members signed the Uniform Conflict Of Interest Disclosure Statement for Lisa Barnett & Chris Fairchild, Ripley County appointees to the Batesville Memorial Public Library Board of Trustees. Council President Dunbar signed the Sheriff’s Salary Contract for the 2005 year. Mary Ann McCoy, Auditor Ripley County updated the council on the payroll process and how they were working to make the payroll/transition for county employees. Commissioner’s Reiners updated the council on the 2004 Ripley County Jail Statistics. Solid Waste District – Donald Dunbar – Meeting Thursday, February 17th, 2005. Council Member Smith made a motion to adjourn until the next regular meeting on Tuesday, March 15th, 2005 seconded by Council Member Simon. Motion approved unanimously.